Leadlightening review-is it a scam? 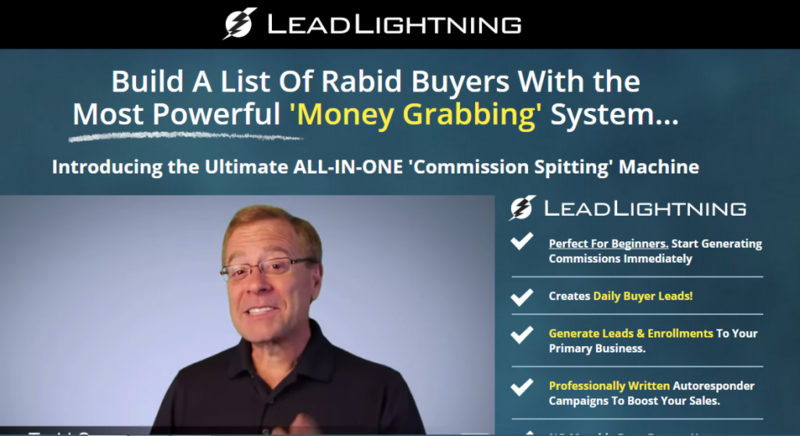 Leadlightening is an online marketing system that creates targeted buyer leads for you. -It’s an online system that enables you to generate daily commissions every time someone purchases it. – You can ‘’boost sales’’ for your business. IS LEADLIGHTENING AN MLM or AN AFFILIATE PROGRAM? In order to answer that question, we need to understand what an MLM is and what an AFFILIATE PROGRAM is. Leadlightening is an online marketing system that creates targeted buyer leads for you. An MLM is a marketing strategy that compensates the representative for every sale that they make and also, for every sale that their salesperson/people recruit. Unfortunately, there aren’t many direct sale companies out there that are ‘’legit’’. However, some are good. Although there is no Federal law in pyramid schemes, some, yet most MLMs are considered illegal. They still exist because in order for an MLM to be considered a scheme, it is very difficult to prove. Many years can go by before this happens. Even when this is proven and the company is shut down, their leaders simply end up starting another similar business. If the company focuses more on recruiting than selling, it a sign that it’s a scheme! If the training is poor and you can’t find anyone to answer your questions, chances are, it’s a scheme. If there is pressure to purchase more or if you are being bombarded with upsells, you might have a dilemma on your hands. An Affiliate program is a marketing program where you can receive a commission by helping a company generate a sale. It is 100% legitimate, honest and there is absolutely NO FEE for this type of program. If a company asks you for a ‘’start-up’’ fee to help them promote their product, a bell should go on. It’s that simple. So, with all of this being said, is LEADLIGHTENING an MLM or an AFFILIATE PROGRAM? Let’s learn more about the company before we answer that question. 1-Do you have to pay to sell their product? -In the case of Leadlightening, yes you do. 2-How are you going to make money with them? Ask yourself how much money you have to spend before you can actually begin making money. Are you going to make money by recruiting others? Is it focused more on getting others to join rather than selling the end product? Is the compensation plan difficult to understand? -Well, with Leadlightening, you do have to invest a small amount of money to ‘’get in’’. It’s only $7 but guess what? They try to upsell you in the end when you ‘’check-out’’. Remember what I said above? The prices range from $7 per month for regular membership to $29.97 per month for silver membership and $53.97 for a gold membership. -Yes, you will make money by recruiting others. You will make $6 per person that pays the $7 to ‘’get in’’. You also get commissions on every upsell that you make and even get a commission on what your ‘’downline’’ brings in. However, in order to get access to more exciting commissions, you need to become a ‘’Diamond’ ’member for a total of $147. -Is Leadlightening focused on getting people to ‘’join’’ rather than selling the product? Is it ‘’a great’’ product and can it really help you increase your own sales in your own business? Are the leads that they generate good? They say that it’s a ‘’lead generator’’. In reality, the leads that you get from it are the people that you are actually selling the product to. Who says that these people are going to be willing to purchase what you have to sell? Will they even need your product? All the system does is track the LEADLIGHTENING buyers that you ‘’bring in’’ present and future purchases. -So, is it focused on getting others to ‘’join’’ rather than selling the product? The answer to that, in my opinion, is that they are focused on both because one doesn’t happen without the other. It’s pretty smart if you ask me. Well, is it smart or is it sneaky? To sum it all up, with Leadlightening review is it a scam? this is an MLM. Is it legit? It’s difficult to tell. However, I ‘’joined’’ a while ago to see what it was all about. I made ABSOLUTELY NO MONEY. Did I get training? ABSOLUTELY NOT. This isn’t a company for beginners nor is it a company if you wish to make money. There is a lot more investment than there is money to be made. 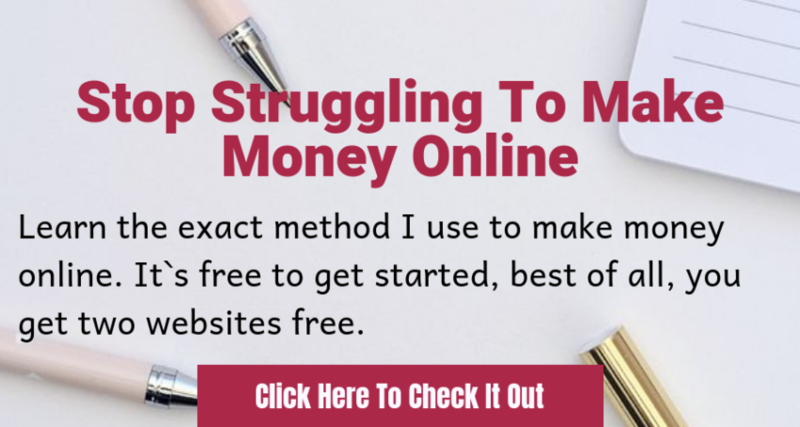 That’s my honest opinion.If you are looking for ways to make money online, I`d advise you to get quality training and learn step by step how to make money online. Want to be an experienced Affiliate Marketer and make real money online? Click any of the links above to join my Number 1 rated program where everything is shown step by step. Liked my post? have any questions? leave me a message below and I’ll get back to you. Have a friend who wants to make money online? share this post with them. Thanks for posting this review and going into the details about MLM vs Affiliate Marketing. I have learned some hard lessons about falling for this stuff in the past. I agree that anything that is all about ‘grabbing money’ and not providing actual value is suspect. Your Leadlightening review definitely struck a cord with me. I have had some regrettable experiences falling for similar programs and have learned the lesson that providing value for others is always a better path than just setting your sights on ‘grabbing money’. Its a hard lesson to learn for some and I think your post, with it’s explanation of MLM vs. affiliate marketing can be very helpful to anyone looking for opportunities on the internet. Thanks for stopping by.MLMs in my opinion is like working for someone else,they enjoy the fruits of your labour. I must admit this one would not attract me at all. Some people say MLM works for them, and others not but for me I would stay away from them. When i see a website saying ‘Money Grabbing System’ the red flag goes up for me.. in my opinion money is earned by hard work, not just signing up to something and grabbing at it. I like the look of the other service you mention though. Wealthy Affiliate looks more like the real deal to me. People tend to go for these money grabbing and shiny objects because they promise no work.But common sense should tell me that there is nothing for free online or offline. This was a very informative read for me. I too am seeking to create a business online, but it is not always easy. What will you say is the time frame it will take to actually make a decent living online? Thank you for this awesome blog post! if I’m honest,l can not say how long it take to make a decent living online, everyone is different, every niche is different so a lot of factors come into play.No matter what niche you are in, work hard at it. Great information here in this article. I like how you were able to breakdown how you need to make money in this program. It’s always hard to understand something before you really dive into it and people can just be drawn in before by the idea of making money before they really know how they’re going to make the money. That’s the important part. thanks Luke, indeed making money online is not easy, like you say, you have to know how you are going to make the money, you have to know what you are doing. Glad you found my post helpful Luke.Most online newbies concentrate on making money more than helping then they give up too fast. Great review of the lead lightening system. I wonder if the traffic training actually works? Either way I’ve never been one for the MLM systems out there. Like many others I started out trying to make money in a few MLM systems and it didn’t work out. Mainly because I was spending more to stay active then I could make in commissions. Seems like all the MLM systems have so many hoops to jump through. Like you, l joined some MLM bak in the day, like you , i never made any money.Anyone looking to make money online should go for Affiliate marketing. I really like your Leadlightning review. I am not a big fan of MLM and I have also done a multitude of reviews on various companies. I hate the idea of buying the product just so that you can sell it.